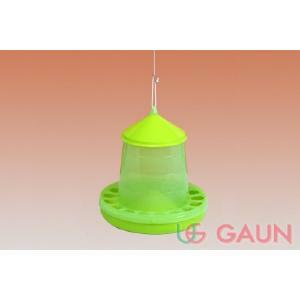 The 4kg Gaun Green/Lemon Feeder is made of high quality plastic. It is semi-transparent to see the feed level. It has been designed with anti-waste holes and a reinforced base.